Why Should You Hire A Pet Sitter? I'm sure we are not the only ones out there who wanted to start house sitting to see the world. well, not just to see the world, but to see the world as it is meant to be seen - like a local. International house sitting gives you a unique opportunity to spend time in different locations. Even better, you often get to spend weeks in different locations and get to experience all the best places to eat, drink & explore. This is thanks to the local knowledge of the homeowner. Who more often than not is very excited to show off their local area. We started our house sitting journey while living abroad in the UK. At the time we really wish there was a guide that we could have followed to help us out. It was difficult starting off in a foreign place with no references, guides or anything like that. However, we figured it out. International house sitting is not the hardest thing in the world - If you are well prepared. Is International House Sitting For You? At the time of writing this article, I am sitting in Wattay International Airport, Laos. I have just completed a house sitting assignment in Chiang Mai, Thailand (one of my favourite places of all time). I am waiting to board a flight to my next house sitting assignment in Kuala Lumpur, Malaysia. I had locked in both of these house sitting assignments a few months ago and have been keeping track of the whole process to piece this guide for you. I hope this guide helps out anyone looking to get into international house sitting, or even anyone planning on house sitting locally in your own town or country. When we use the term ‘international house sitting’ we mean a house sitting assignment that is not in your home country. Depending on the location these assignments can be dreamy, intimidating or even a little scary. Partially if you have never been to that country before. Applying for a house sitting assignment overseas does require a lot of research and a fair bit of planning. However, in the end, all the hard work is well worth it. The first step to locking in any house sitting assignment is applying for the house sit. When applying for an international house sit you need to keep a couple of things in mind. Have you ever been to this country before? Do you want to? Do you know how to speak the local language? Will it be a problem? Can you look after all the animals correctly? Once you have gone through these questions in your head and you can confidently say you are happy with all of these questions apply for the sit. Now days there can be a lot of competition for some house sitting assignments, this does depend lots on the location and the particular sit, however, in most cases you will not be the only one applying. Therefore you need to make your application really stand out to the homeowner. Don’t just send a generic message to the homeowner. Write a thoughtful, personalized and truthful application letter. Tell the homeowner exactly why you want to look after their home and pets. When you apply from the heart you will be surprised at the responses you get. When you do get a reply do make sure you reply straight back, you don’t want to leave a reply for a day or two and miss your chance! It is more than likely the homeowner is talking to more than one applicant! Before committing to any house sit, particularly international house sits it is very important to talk to the homeowner about their expectations on the house sit. In my past experience i have learnt it is best to try to get on a Skype conversation with the homeowner. Personally, I find it much easier to talk to a homeowner ‘face to face’ over video chat. Once you have all these questions answered its time to move onto the pets. For most homeowners, the most important part of the house sitting assignment is their animals. Most homeowners treat their little fur babies like their own children (sometimes even better than their children). They want to ensure that they are cared for right while they are gone. Before you even consider being a house sitter you need to ask yourself do you really love animals? Before you commit to a house sitting assignment you need to think if you can care for the animals. Ask yourself if you have had experience with that animal or particular breed before. If you haven’t had much experience with some animals or breeds this can potentially cause big issues on the sit. If they do take medication, does the animal make it difficult or are they ok taking tablets / taking injections. A breakdown of what the animal's usual day-to-day schedule is. Ask for walking schedule, feeding schedule, what the animal usually does through the day. Once you have all these questions answered you can then think to yourself if this house sitting assignment is for you and if you can exceed the homeowner's expectations while looking after their home and animals. Before committing to, or for that matter even applying for an international house sit, make sure you know what the visa situation is for that country for the entire duration of your sit. 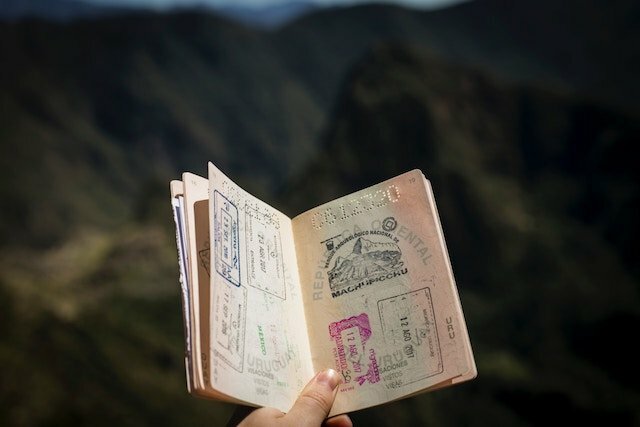 What type of visa you will need will differ from country to country, the length of your stay, and what the passport is that you are travelling on is. Be sure to do the proper research into this. Make sure you get your information from a government website. Your countries embassy will have all the information you need regarding what country you are planning on house sitting in. Keep in mind the duration of your potential house sit, will it go for longer than you can stay in the country for on your visa? Are you going to need to work while on the house sit? Will you be a student studying while sitting? Either of these things will change what kind of visa you will need. It will also change the visa application process. Generally, a working holiday visa or a student visa will take a lot more time to get than a tourist visa or a visa on arrival. When finding out information regarding visas always make sure you are using government websites, the last thing you want to do is take advice from someone online who doesn't really know what they are talking about. Will you be completing the sit as a tourist? You will need to find out how the tourist visa process works for the country you will be sitting in. Some countries offer a visa on arrival which means you don’t have to apply for anything before arriving at immigration, however, for other countries, you will need to apply for a tourist visa in advance. Again I can not stress enough to make sure you are getting your information regarding visas from a trustworthy (government) source. Unfortunately advising immigration that you were told by someone on Facebook you don’t need to complete your visa in advance does not cut it! Do You Need To Plan Your Visa Before You Leave Home? I will reiterate this one more time (it really is that important). Find out if you need to apply for your visa in advance before landing in the country. You don’t want to be that house sitter who doesn’t show up for their assignment because you were turned around at the border. Make sure you know what visa you need, and also what other documents you need to go along with your application. This all can be anything from proof of funds to ongoing travel documents. Also keep in mind that some countries require you to have 6 months (sometimes 1 year) left on your passport before it expires to be let into the country, again make sure you do your research into this before it's too late. If you have to get an emergency passport a week before you sit, it is going to cost you a lot! There are a lot of costs involved with international house sitting. Once you leave your home country things do start to add up. A lot of the time there is no way around these costs and it is just something that goes with this lifestyle. Some of the more important costs to think about before international house sitting include. Does The Homeowner Pay For My Travel? Without a doubt this is the number 1 question I get asked. Unfortunately the answer is no 99% of the time. I'm sure there are cases where the homeowner has covered the cost of travel, but unfortunately, that is not common practice. The reality is travel can be expensive, think about how much you will be spending before you commit to the house sit. Can you afford flights to the house sit? How Do We Find The Cheapest Flights to House Sitting Jobs? Travel insurance is generally something that is overlooked when thinking about house sitting internationally. Depending on the country, the duration and exactly what policy you will be requiring travel insurance can get quite expensive. However, travel insurance is something that is very necessary when travelling abroad particularly when you will be looking after someone else's home and animals. It is always cheaper to look into and purchase travel insurance before you leave on your trip. Do make sure your policy covers you for everything you will be doing while you will be on your house sitting assignment. Will you be riding scooters, driving, surfing, bike riding, snowboarding, horse riding or skydiving while you are away? Make sure your policy covers these things if you are. They will generally make your policy more expensive. However, still much, much cheaper than a trip to the hospital in a foreign country. What Do We use To Get The best Travel Insurance Cover? 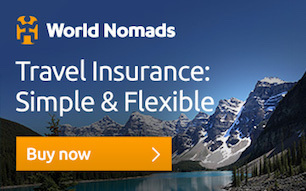 ''We use World Nomads for all of our travel insurance. This is for both long term yearly cover and short trips to house sitting assignments in different countries"
This one is a little bit of a no brainer, but make sure you have enough money for the duration of your house sitting assignment. Find out how much you will need for the entire duration of your stay. There are some really good tools out there these days to find out the general cost of living for most cities in the world. Calculate how much you will need and even make a budget for while you will be there, you will be surprised how much you can save when you have a budget. "We like to use Nomadlist to calculate an estimate for how much it is going to cost us to live in a particular city. The platform is updated often and has lots of good information other than just the cost of living." It's never fun thinking about what if something goes wrong, but it's essential that you think about what if all goes pear-shaped and I have to go home ASAP. Anytime that you are travelling abroad it is smart to have an emergency fund, make sure you have enough to be able to get yourself home that day. The last thing you want to be doing is putting an emergency flight home on your credit card. When arriving in a new country, partially foreign countries it can be difficult to get your bearings and find your way anywhere. The key here is to do your proper research before you leave. 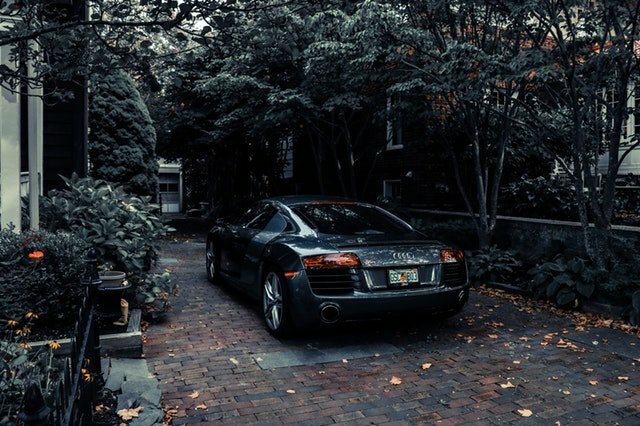 The homeowner should be able to help you out with your best options for transportation or even in best case be able to pick you up from somewhere. However, it is best to not rely on that. When it comes to planning your route to the house sit Google Maps, or an offline maps application like Maps.me can be your best friend for finding your way to a new house sitting assignment. You will need to figure out if you will catch a taxi, Uber, Grab, public transport, or shuttle from the airport. In some places, it is a cheaper (and faster) option to Uber, especially if you have more than one person with you. The best thing to do is do your own research on your specific location. Do You Need an International Drivers Licence? Depending on what drivers licence you hold and what country you are going to there will be different rules regarding you driving. If you are planning on hiring a car or a scooter for the duration of your house sit this is something you will need to look into. For example, my last house sit in Thailand required me to take the cat to the vet every day and asked if I would like to take her scooter. However, in Thailand, you require an international drivers licence (mine had expired around 2 months ago) so I had to decline her offer and opted to walk instead. Is it safe to drive in the country of the house sit? Take Thailand again for example. There are lots and lots of other cars/ scooters on the road and it's not the safest driving environment for a foreigner - the police are also fairly corrupt and will target foreigners and fine them for next to nothing. Sometimes it's best to avoid driving all together to avoid finding yourself in a bad situation. Will You Be Using The Homeowners Vehicle? Has the homeowner offered you their car to make life easier for you (and the pets) while on a sit? It is an overwhelmingly nice gesture and is something that doesn’t happen too often, however, when it does make sure you are on the ball with what you need to know. Different countries have different road rules, some are not so different from your home country - take Australia and New Zealand for example. In both countries, you drive on the left-hand side of the road and nearly every road rule is the same. However some countries road rules are very, very different. To be safe it always pays to get a copy of the local road rules (many of which can be found online) and read up on them. Do You Have The Right Licence? I will use New Zealand and Australia as an example again. As a New Zealander holding a full New Zealand drivers licence I can drive in Australia for up to 3 months without needing to get an international or Australian drivers licence. If i opt for swapping my licence over it is as simple as going into the local Department of Transportation Office, doing an eye test and paying the transferal fee. Easy. I have an Australian licence. The hardest part is waiting for 2 - 3 hours while your number is called. However, somewhere like Thailand, I require an international drivers licence. In New Zealand to get an international drivers licence you need to apply along with your required documents and send it away, this process can take a few weeks to get everything sorted out. So do your own research and be aware of your licence and the conditions of driving in another country long before going. Does your travel insurance cover driving a motor vehicle? It's better to find this out before you even think about driving someone else vehicle. Does the homeowner's insurance cover you driving their motor vehicle? In a lot of countries, it is illegal for you to drive someone else's car without insurance. Often this will mean the homeowner will need to call their insurance company and register you as a driver of their car and add you to their policy. If that is the case you will need to speak with the homeowner and come up with an agreement for who will be paying for that insurance cost. If you are driving the homeowner's car - who will be paying for petrol? This is again something that you and the homeowner will need to discuss. Often times when you are driving the car for errands of the homeowner you will not need to, but if you are out on a leisure trip you will need to pay for petrol. Will you be going through toll roads? What if the car breaks down or you need to service the car? Again these are all things that will differ from sit to sit and you will need to discuss and come to an agreement with the homeowner over. 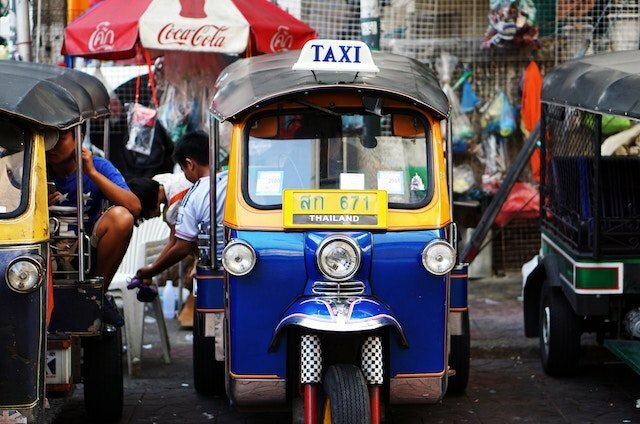 Will you be renting a car or scooter for the duration of your trip? If you are this is something that you will have to pay for and is not something that the homeowner has to concern themselves with. As an applicant of an international house sit you need to be aware that in some circumstances you will need to get yourself transportation if the house sit is not in a larger city. This is another cost that you may need to plan for. Does The Homeowner Pay You For House Sitting? This is the second most asked question we get. But to be honest I would feel very weird charging someone to look after their home and pets. House sitting is a neutral agreement between the homeowner and the house sitter and both parties get a good benefit from the agreement. The homeowner has someone who can look after their home and pets in a way that a kennel/cattery and someone coming to check on their home just can’t provide. Homeowners also save a lot of money on expensive kennel/cattery fees. For the house sitter, you get free accommodation, and in my eyes, there is no need for money to ever change hands. Like a lot of full time house sitters, I have a day job which I work remotely from. So when I am house sitting I am earning a living wage. I am more than happy to house sit for free accommodation and for the joy of hanging out animals all day. I have worked hard upskilling myself to be able to work from anywhere, at anytime, on my own terms. If you are looking to internationally house sit long term upskilling yourself to work this way is potentially something that you should look into. For me house sitting is not about making money it is about travelling and having the opportunity to enjoy the company of pets as I see the world. Do I Pay For Bills When House Sitting? This is something that will differ from house sit to house sit. You will need to speak with each homeowner about this. Sometimes homeowners will be happy to cover all bills while you are looking after their home but will ask you to 'go easy' on the air conditioning or the water. This is understandable and something that I am very cautious over regardless. For longer sits, more often than not the homeowner might ask you to chip in for the bills, mainly things like Wifi, heating, air conditioning or water, which is understandable too. The best thing to do to avoid any awkward situations when the bills come is to talk to the homeowner about this stuff before committing to the sit. Do you know what to do if your animals get in trouble? It is highly recommended that you complete an animal first aid course before you head out on your first house it. You never know when it might just save an animals life. Depending on what country the house sit is in you might need to get vaccinated. This is something that you will need to do in advance and something that you will need to think about budget wise. For most first world countries you should be fine, however, it does pay to look into this wherever you are going. Think about if there have been any recent outbreaks of disease or if there are any serious health risks about where you are planning to go. Will you be able to communicate with the locals or get by in day-to-day life where the house sit is going to be? When travelling it always pays to at least try and learn the very basics of the local language. This has many benefits and is something that you should seriously consider before applying for an international house sit. Is the area safe that you are going to? Personal safety - Are you going alone? Is the location safe for someone who is going to be travelling alone? Location safety - Is the location safe? Think weather-wise, political climate wise and general area safety of the home. Animal safety - Is the area you are going to be house sitting animal safe? Take Australia for example. When house sitting in summer and you are walking dogs you have to be very aware that Australia has poisonous snakes (among other poisonous animals). You need to be very careful if you are walking the dog off lead and stay vigilant at all times. Sometimes bad things happen and there is nothing you can do about it. There are two different scenarios where this can happen. What happens if something happens to the home while the homeowner is away? This is something that you need to discuss with the homeowner. You need to make sure the home and contents are covered while you are going to be looking after the home. Make sure you have all the local emergency numbers. This includes fire, police, ambulance. What happens if something happens to the pet while the homeowner is away? Make sure that you discuss this with homeowners. Every homeowner will tackle this issue differently. At the very least you need to make sure you are at the very least prepared with the local vet's details. Somethings are even more out of our hands, what if there is a flood, earthquake, hurricane, tsunami or eruption? Make sure you are aware of any potential natural disaster threats and are aware of the steps you need to take if something does happen. Think about pet safety, home safety and personal safety. At the very least you want to know what the local natural disaster process is, every town should have action plans in place for each different type of natural disaster that could potentially occur in the area. What if there is an emergency back home that you need to go back home for? This is something to think about particularly for single house sitters especially. When house sitting as a couple it is not such a big deal because there is always someone who could stay at the sit until the end. As awkward as it may be, bring this up with the homeowner if you are travelling alone - is there someone who could step in for you if you MUST go home? Or are their alternative arrangements you could make? I think (hope) I have covered everything that I can think of regarding what you need to know when thinking about international house sitting. Depending on the location you are going it can take a lot of planning. There is a lot of information and things to think about in this post - this post was not designed to scare away anyone from house sitting internationally but to make you aware of the planning that is involved. House sitting is a great lifestyle and one that is very rewarding and exciting. You get to see the world in a different way to traditional travel. With the right planning, anyone can start house sitting in any country. If that is for a full time lifestyle, for a holiday getaway or as a cheap retirement option. There are several different places that we would recommend for finding an international house sit. The platforms below are where we find most of our house sitting assignments. If you would like a more in-depth breakdown of each site you can check out our guide to the best house sitting sites to see which one might be right for you. Although you can not apply for sits when you are not a member of a platform you can have brows around first - this is a great way of seeing what is available on each platform before purchasing a membership. One great site that we use is called House Sit Search, you put in your dates and location and it searches most of the house sitting platforms out there and brings back all of the results. This saves you a lot of time looking through various different platforms for a house sit. This is also something we get asked alot. Once the house sitting assignment is over what do you do? Obviously we can't line up house sits perfectly one after another everytime. Generally we will have a few days or weeks between assignments. We use this time to explore a country further, or catch up on work. Unfortunately that means we do have to pay for accommodation sometimes. Generally we will use Airbnb for accommodation when we are not house sitting. It is often the cheapest option out there and it allows us to get a comfortable home that we can get work done (unfortunately working out of a hostel usually just isn't comfortable or productive). If you have never used Airbnb before click on the below link and get a big discount of $45 AUD off your first stay. New To House Sitting? We Would Love To Help You! As you can probably tell from this post we absolutely love house sitting. It has allowed us to travel and live in different destinations all around the world. We intend to keep on house sitting for the foreseeable future and love spreading the word and helping others start their own amazing journey. We hope this post inspires, helps and encourages people to get out there and start house sitting. Whether that be locally or internationally. Do you have any questions about house sitting? Or is there anything that we can help you with on your house sitting journey? Leave a comment, send us an email or get involved in our Facebook community! Did You Enjoy This Guide? How About Re-pinning to Share With Others? This was a super interesting and informative article! You are truly an expert on international housesitting and I agree with how important planning your transportation can be when traveling. My husband and I considered driving when planning our trip to South America this March, but it was cheaper and less of a hassle to travel around the country by bus.